Back in 2012 the shareholders took control of my romantic life and using modern technology they completely changed my life by leading me into a romantic relationship with Marijke. Shortly after meeting Marijke she became a shareholder. She has participated actively in the KmikeyM project since then, once even crashing the market in order to exercise her options at a low price - possibly her grandest romantic gesture to date. The shareholders approved our cohabitation and the contractual terms of our relationship. When I tried to sneak permission to ask for marriage in the fine print of a larger issue, the shareholders voted overwhelmingly against it, a clear sign that the end to shareholder control of my romantic life can be granted only by the shareholders. Today I am excited to come to the shareholders with the most important shareholder proposal yet. Should I ask Marijke to marry me? 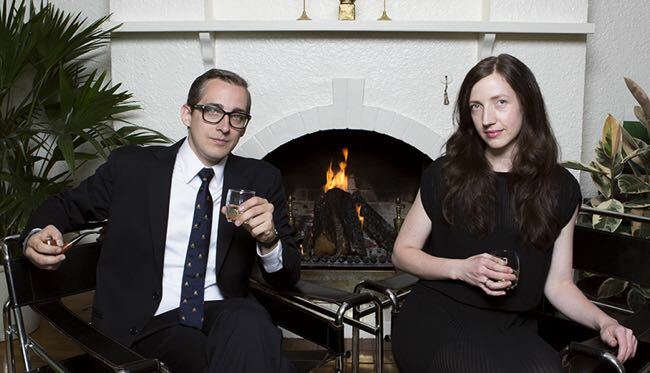 The shareholders have successfully guided me in finding the most amazing and beautiful woman I’ve ever met, so it’s only prudent that I should heed their advice on taking the next step. I expect the shareholders will have a lot of questions about this proposal proposal. 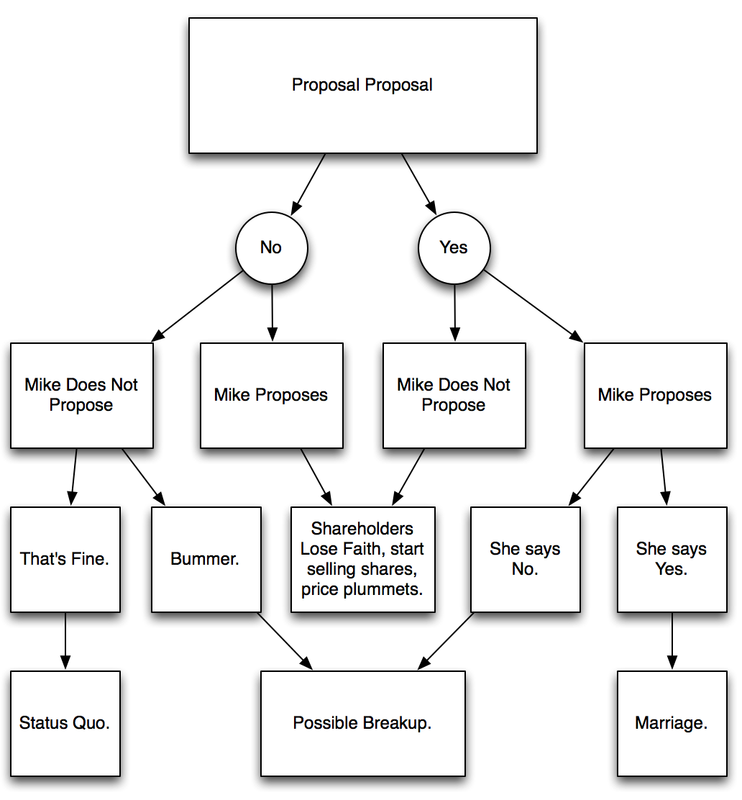 What does it mean for a publicly traded person to propose to a privately held person? It’s not an acquisition. Perhaps a merger of sorts? Should there be a pre-nup? What about kids? Does the life of a publicly traded person include marriage? These are all questions we will puzzle out together, and I’m sure that in the instance the shareholders recommend we marry, Marijke and I will continue to turn to the them whenever we’re stuck on a decision (for example, what color to paint the house). A proposal for marriage is a triumphant conclusion to the shareholders' involvement in my romantic life. Through good times and bad the shareholders have been there to advise and direct me. I am a better person, and boyfriend, because of them. If this proposal passes I’m sure they will also make me a better husband. One concern I have in this matter is the heightened risk of insider trading on shareholder @arijkem's part. What insurances will be put in place to prevent collusion and inappropriate behavior? It's a good point George, she certainly has an inside look into the goings on of KmikeyM. But she's had that view for a long time, and her votes and buying and selling are all public. I'm all for shareholder protections and determining what limits might need to be put in place. Do you have specific concerns of how she might abuse her position and/or how to prevent such abuse? What if @arijkem votes no? I want full wedding planning rights RE budget and color schemes. While I agree that public oversight is encouraging, what safeguards are in place to prevent a real low level hostile takeover? What would prevent, say, a one-time release of shares known only by one shareholder? Or a slow-release meant to subtly shift stake over time? Shareholder vigilance? What legal ramifications of marriage can override shareholder will? George/Gene: What we're looking at here is that control of my romantic life will become a household matter (should she accept the proposal). Other than matters relating to romance she will have no special privileges. Of course she will remain in a position of advantage regarding any new information about my life, but as long as the shareholders are vigilant in monitoring her purchase and sale of shares I don't imagine this being a problem. I'd like to see some analysis and scenarios of what could happen in each situation before voting "yes."